Global Anaphylaxis Treatment Market is driven by the increase in the incidence of anaphylaxis around the world. 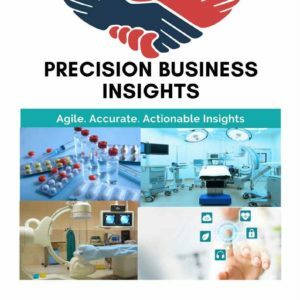 In addition, promising product launches by the major companies such as Teva Pharmaceuticals, Inc. and others, an increase in awareness regarding available treatment options for anaphylaxis among healthcare professionals and patients are boosting the market revenue growth of anaphylaxis treatment market. However, the cost of the treatment, lack of awareness in underdeveloped regions regarding the allergic reaction treatment, and side effects of the drugs used for treatment are hindering the growth of anaphylaxis treatment market. Anaphylaxis is a serious, allergic reaction that is to be treated immediately. Anaphylaxis is a life-threatening reaction with cardiovascular, respiratory, gastrointestinal, or cutaneous manifestations resulting from exposure to an offending agent, usually insect sting, food, physical factor, or medication. It is typical causes more than one of the symptoms such as throat or tongue swelling, itchy rash, vomiting, shortness of breath, light-headedness, and low blood pressure. Anaphylaxis occurs due to the release of mediators from white blood cells that initiate immunological or non immunologic mechanisms. Anaphylaxis is primarily treated by epinephrine through IV route or intra-muscular route. Addition to epinephrine, antihistamines, H2 blockers, vasodilators, and steroids are used to relieve the symptoms. Global Anaphylaxis treatment market is much consolidated in nature due to the presence of very few players in the market. The introduction of the auto-injectors to treat the anaphylaxis revolutionised the anaphylaxis treatment market. Market players are increasing their market presence by collaborations and partnerships. In addition, marketers focusing on the product launches and expanding into other regions for better revenue realization. For instance, in 2015, ALK-Abelló and bioCSL (CSL Limited) entered into a long-term partnership covering three ALK products in Australia and New Zealand. The agreement grants bioCSL exclusive rights in Australia and New Zealand to ALK’s sublingual allergy immunotherapy tablets (SLIT-tablets) for house dust mite (HDM) allergy and grass pollen allergy (marketed as GRAZAX in Europe and GRASTEK in North America), and its adrenaline auto-injector, Jext. ALK will be responsible for product supply and bio CLS will undertake registration and commercialisation of the products. Companies reducing the costs by introducing the generic, cheaper versions of the epinephrine auto-injectors to penetrate into the market. For instance, Mylan N.V. has introduced the generic version of EpiPen at half the price. The initial pack of two was sold at US$600 until December 2016 which will be sold at US$ 300 from January 2017. Geographically Anaphylaxis treatment market has been segmented into following regions viz. North America, Europe, Asia-Pacific, Latin America, and Middle East & Africa. 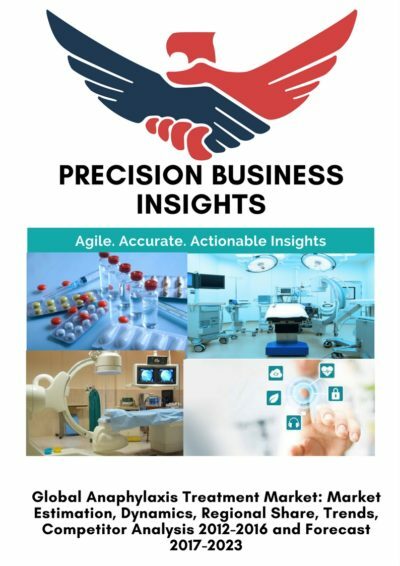 North America expected to lead the anaphylaxis treatment market due to increase in the incidence of anaphylaxis, lifestyle changes and raising awareness about available treatment for anaphylaxis among healthcare professionals. 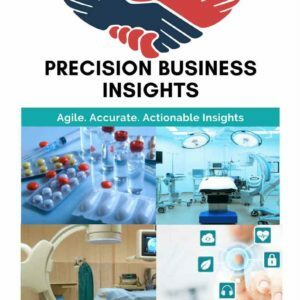 Europe anaphylaxis treatment market expected to grow at healthier rate due to increased adoption of the new technologies in the treatment of anaphylaxis. Asia Pacific anaphylaxis treatment market expected to grow at faster rates owing to larger pool patients coupled with high medical unmet need in the region. Some of the market players in Anaphylaxis treatment market are ALK-Abelló (Denmark), Impax Laboratories Inc. (U.S.), Lincoln Medical Ltd. (New Zealand), Mylan NV ( U.S.), Adamis Pharmaceutical Corporation (U.S.), MannKind Corporation (U.S.), Pfizer Inc. (U.S.), GlaxoSmithKline Plc. (U.K) , Merck & Co., Inc. (U.S.) to name a few. In June 2017, The U.S. Food and Drug Administration (FDA) approved Adamis Pharmaceutical’s epinephrine injection, “symjepi” (0.3mg/ml) for the emergency treatment of allergic reactions, including anaphylaxis.